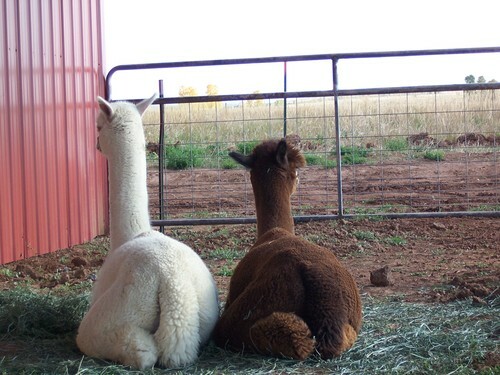 We have been in the Alpaca business for nearly 5 years near the metro Phoenix, Arizona area. It has been a long term dream of ours to return to Colorado; Sue is a Colorado native and Glenn a transplant from Chicago. After a year long search we got 5 out of the 6! You can imagine which one we missed out on. 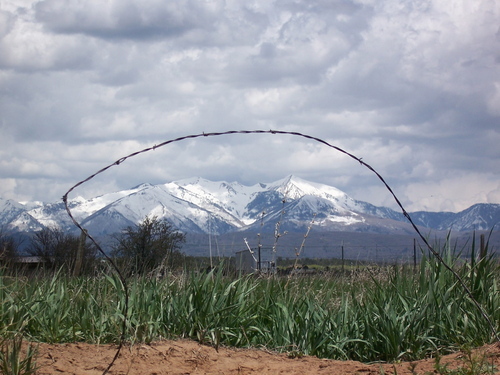 We were able to purchase land in Hesperus, Colorado with 360 degree views, 37 shares of irrigation water for the pastures which are in Brome grass hay, 18 miles southwest of Durango on mostly paved and well maintained dirt roads. Close enough so we can go to the Diamond Belle Saloon at the Historic Strater Hotel on Sunday nights and listen to the Bluemoon Ramblers. So in 2011 the construction has started, the well is in, Electric service is run, Barn construction has started, plans for fencing are drawn. Maybe someday we might actually consider thinking about a place for US to live! Alpacas come first. Follow us on this adventure, when we are not building, digging fence post holes or something along those lines we will update this page. 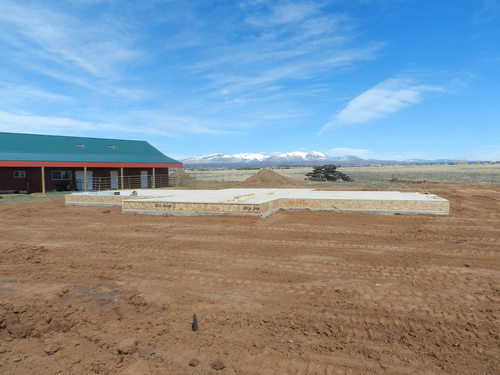 ***March 2012 update***- barn is built for the alpacas, we now own a tractor and the foundation started on house for the humans. Walls should go up very soon. We have an anticipated move targeted for early summer of 2012. What still needs done.......the list is endless but we are determined to make this dream a reality. 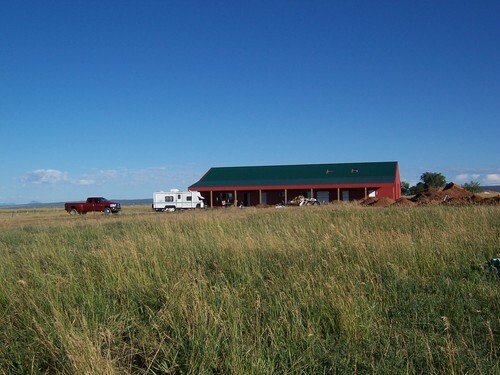 ****August 2012 update****- we are almost done and ready to move in. While we are about 3 months behind what we hoped for, we are finally seeing the move date coming upon us. 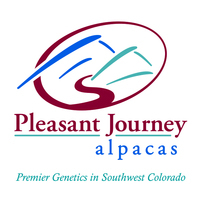 Keep an eye on our blog for pictures of the alpacas arriving home to Pleasant Journey Ranch in Hesperus, CO! *****January 2013 update***** The BIG MOVE finally happened in Sept 2012! We are now living our dream of being on our ranch with our alpaca herd. We have 26 of our own alpacas and agist (board) for 3 other ranches. 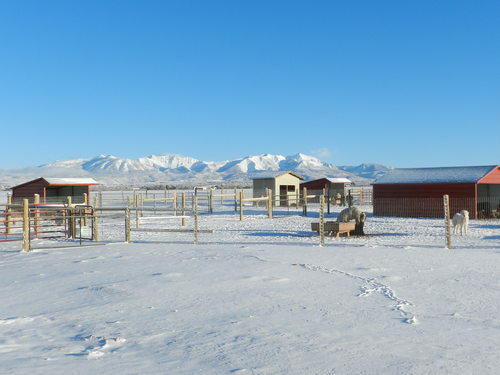 The first winter has brought challenges with the weather and learning the quirks of the ranch set up but we are working daily to adjust and keep moving forward. We are blessed with beautiful views and wide open space and continue to be thankful everyday for this opportunity!